Its All About the Bags! I have to admit to having a ‘thing’ about bags. If I ever feel like shopping for something really exciting, it always involves bags.. I have even purchased power tools purely because they came in a cute bag.. So of course, when Majacraft brings out a new bag it has to be news! I frequently enjoy the excellent quality and protection the Little Gem bag provides when I am travelling..
Everything fits and there is room for bobbins and fibre, and I know it is protected and safe as well as being easy to pick up and carry! 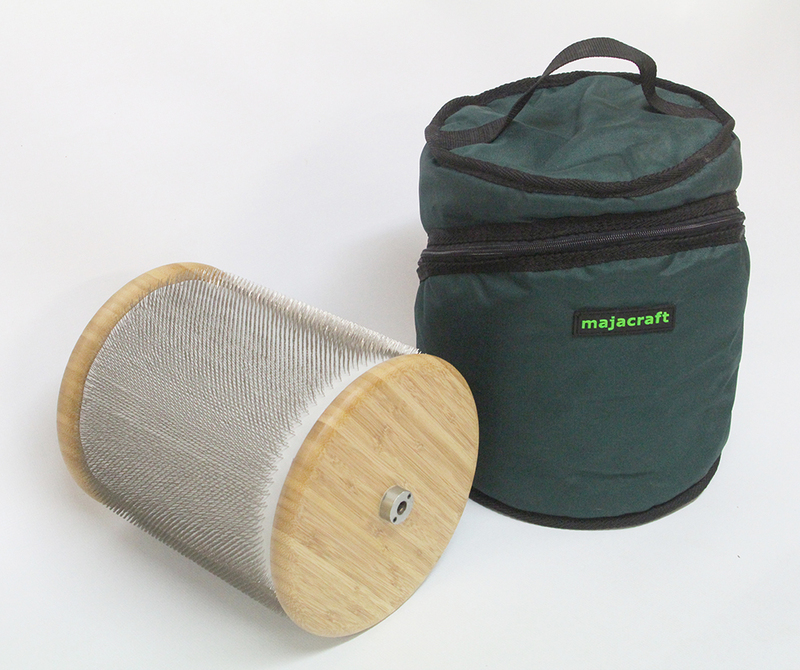 Majacraft also offers bags of the same sturdy quality for the Rose and Suzie wheels, for the Fusion Engine, as well as a fitted bag for the Dynamic Heddle Loom (and yes the loom will be returning soon!). And now we have a brand new bag! And I personally love this one so much I would even use it as a project bag just because it is so cool… However its REAL purpose is to store and protect your second Fusion Engine drum when not installed in your carder! 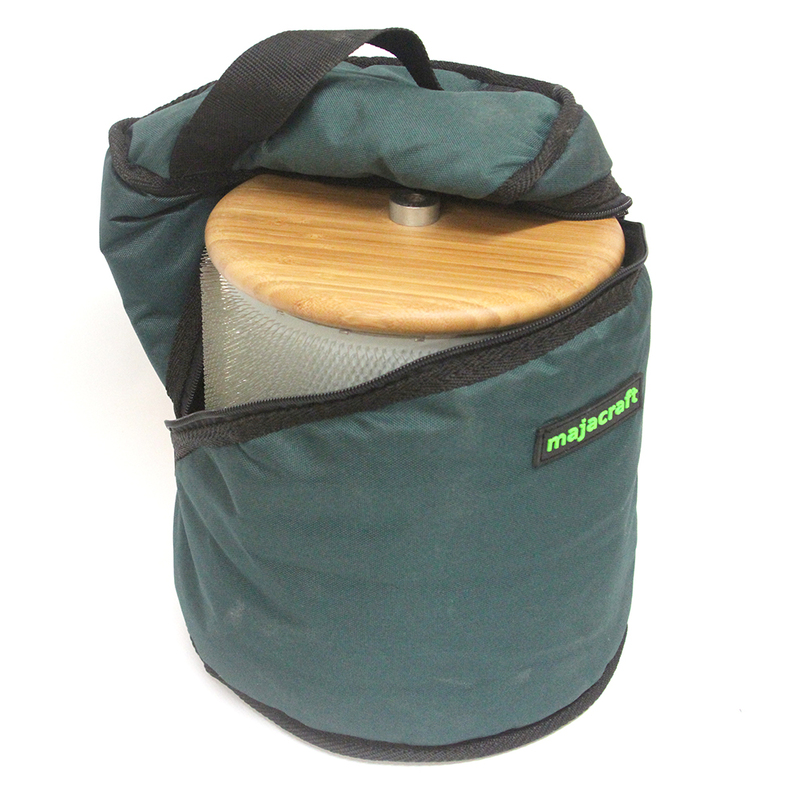 This bag is purpose designed to fit that extra drum snuggly and securely, the solid quality zip is angled to make it very easy to take your drum in and out with no damage from sliding and no risk to your fingers either. We know many of our Fusion Engine customers have either purchased both 72 and 128 tpi drums, or have later come back for the ‘other’ drum to extend the range of fibers they can card. (We have a nice little post here on how to choose the right carding cloth for your fibre) The easy method of swapping drums means you can easily mix and match your carder to your stash. And now we have solved the problem of storing and transporting that second drum with this purpose made bag. 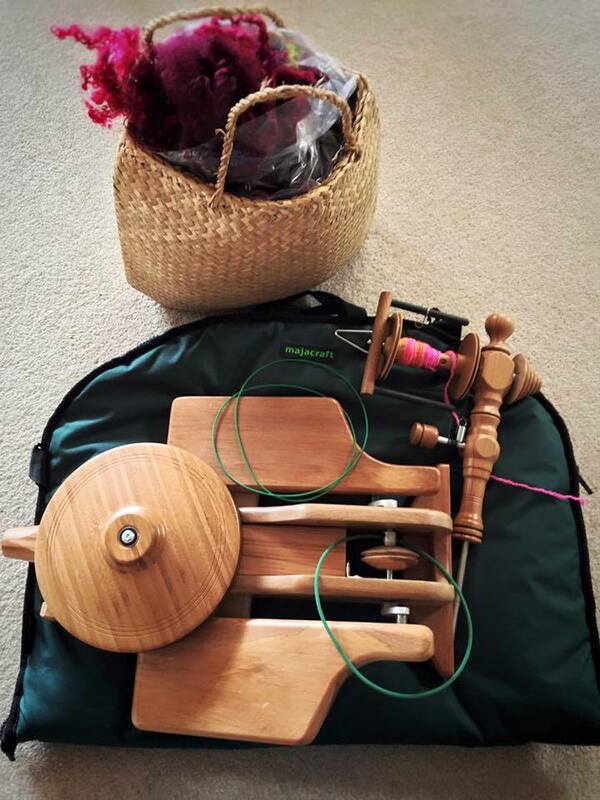 And yes… I think I may also be purchasing an extra bag for my projects and spindles too (serious bag lady stuff here).. the carry handle on top makes it even more appealing for multi purposing! Please contact your dealer for pricing in your country. We hope you will love this bag too! I just might have to buy a new drum to get a bag! I love the way it unzips. It’s on my Wishlist!